Small Dog Collar With Plastic Side-Release Buckle - $7.00 : Your Pet Store, Made in the USA! 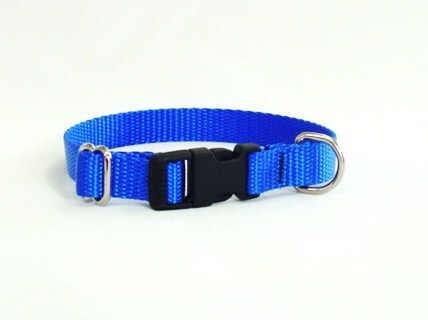 This dog collar is 5/8" wide and adjusts from 8-14". This will fit dogs from 5-20 lbs. The plastic side-relase buckle is very durable, and the D-ring is welded metal for strength. The adjustment piece is made of metal to ensure the collar does not adjust unintentionally.